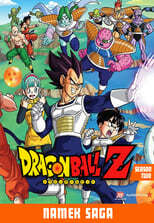 The Saiyan Saga contains episodes 1-39. The Saiyans are coming! These ruthless, intergalactic villains carved a path of destruction across the galaxy, and now they’re headed for Earth! 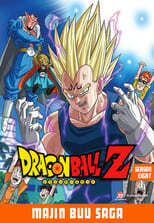 The evil Saiyan warlord Vegeta will not rest until he’s seized the wish-granting powers of the Dragon Balls for himself! Goku vs. Vegeta! The battle of all battles begins now! 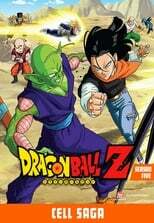 The Namek Saga, also known as Season 2, is the second season of the Dragon Ball Z anime. It spans from episodes 40 through 74 in the original Japanese anime and FUNimation dub, and episodes 29 through 60 in the original dub. It adapts chapters 246 to 291 from the Dragon Ball manga. It is preceded by the Saiyan Saga and succeeded by the Frieza Saga. 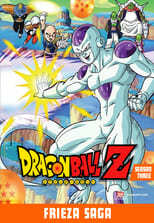 The Frieza Saga, also known as Season 3, is the third season of the Dragon Ball Z anime. It spans from episodes 75 through 107 in the original Japanese anime and FUNimation dub, and episodes 61 through 92 in the original dub. It adapts chapters 291 to 329 from the Dragon Ball manga. It is preceded by the Namek and Captain Ginyu Sagas and succeeded by the Androids Saga. The Androids Saga, also known as Season 4, is the fourth season of the Dragon Ball Z anime. It spans from episodes 108 through 139 in the original Japanese anime and FUNimation dub, and episodes 93 through 124 in the original dub. It adapts chapters 329 to 357 from the Dragon Ball manga. It is preceded by the Frieza Saga and succeeded by the Cell Saga. 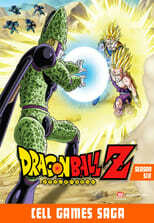 The Cell Saga, also known as Season 5, is the fifth season of the Dragon Ball Z anime. It spans from episodes 140 through 165 in the original Japanese anime and FUNimation dub, and episodes 125 through 150 in the original dub. It adapts chapters 358 to 388 from the Dragon Ball manga. 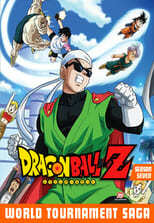 It is preceded by the Androids Saga and succeeded by the Cell Games Saga. 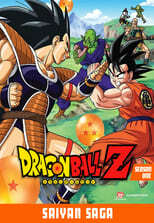 The Cell Games Saga, also known as Season 6, is the sixth season of the Dragon Ball Z anime. It spans from episodes 166 through 194 in the original Japanese anime and FUNimation dub, and episodes 151 through 179 in the original dub. It adapts chapters 388 to 420 from the Dragon Ball manga. It is preceded by the Cell Saga and succeeded by the World Tournament Saga. 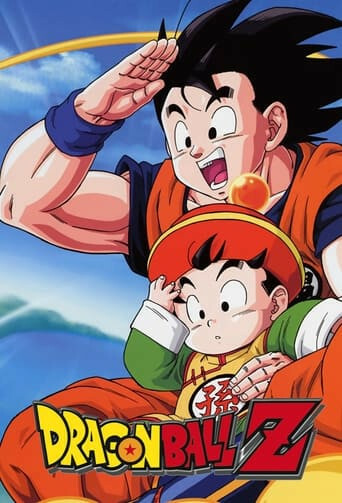 The World Tournament Saga, also known as Season 7, is the seventh season of the Dragon Ball Z anime. It spans from episodes 195 through 219 in the original Japanese anime and FUNimation dub, and episodes 180 through 204 in the original dub. It adapts chapters 421 to 445 from the Dragon Ball manga. 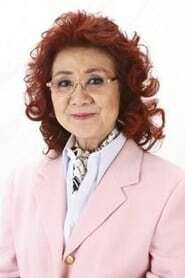 It is preceded by the Cell Games Saga and succeeded by the Majin Buu Saga. The Majin Buu Saga, also known as Season 8, is the eighth season of the Dragon Ball Z anime. It spans from episodes 220 through 253 in the original Japanese anime and FUNimation dub, and episodes 205 through 238 in the original dub. It adapts chapters 446 to 483 from the Dragon Ball manga. It is preceded by the World Tournament Saga and succeeded by the Kid Buu Saga. The Kid Buu Saga, also known as Season 9, is the ninth and final season of the Dragon Ball Z anime. It spans from episodes 254 through 291 in the original Japanese anime and FUNimation dub, and episodes 239 through 276 in the original dub. It adapts chapters 484 to 519 from the Dragon Ball manga. It is preceded by the Majin Buu Saga.